You should know the Chess En Passant rule. Learn it on this page. 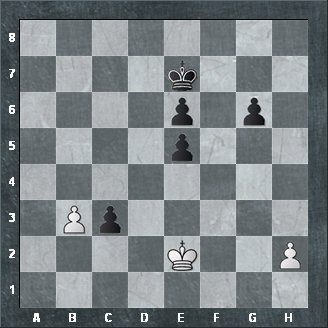 En Passant is simply when you make a capture after a pawn is moved two squares forward from its starting position. En passant is french and means - in passing -. So for example, when you move a pawn as White from e2 to e4 and you pass a black pawn sitting at d4 then Black can capture your e-pawn en passant because you passed it. The opposing pawn can capture it the same way, as if it had only moved one square forward. After it is captured, the chess position is the same as if the pawn had only moved one square forward. This chess rule applies only, if the pawn has not moved before during the game and is still sitting on its original square. Just see the following diagramms. forward now. The black P CAN capture en passant. See next diagramm! This is the position after the black P has captured. 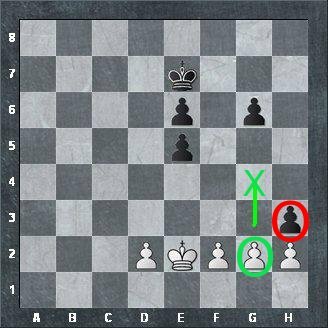 capture en passant, because he is not placed exactly beside the white P, after the two-step-move has been made. See next diagramm! This is the position after the white pawn has moved TWO Steps forward. As you can see the black P is still there. The white f-pawn can go TWO steps forward. The black one CAN capture en passant. The white f-pawn can go TWO steps forward. The black P CANNOT capture, because it is placed one square too far ahead. 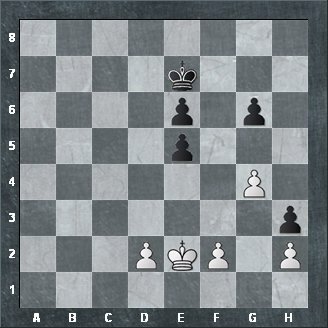 1.The En Passant Rule applies only in the starting position of the pawn. 2.When your opponent has moved his pawn two steps forward, you must take en passant right away, if you like. You can't wait some moves later to take en passant later on. Now or never! If you don't execute the move en passant immediately in a specific position then you can't use it later on in that same situation. Either do it now or never. But you can use it again in other situations whenever they occur. Lets say your opponent (White) moves his e-pawn two squares ahead from the original square (from e2 to e4). Now you have the choice to capture en passant or make another different move alltogether. If you make a different move then you can never again in this game take the e-pawn en passant. 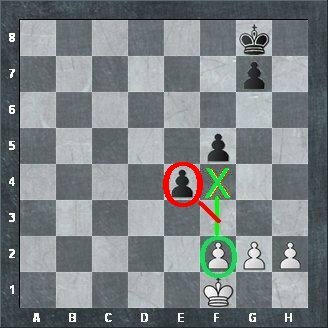 But a similar situation may happen with another pawn, let's say the c-pawn gets pushed later on two squares ahead from c2 to c4 and you could capture it en passant. 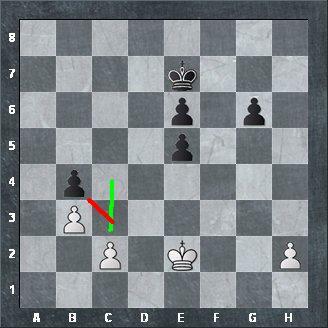 Of course you can capture the c-pawn en passant as this is another situation and a different pawn. 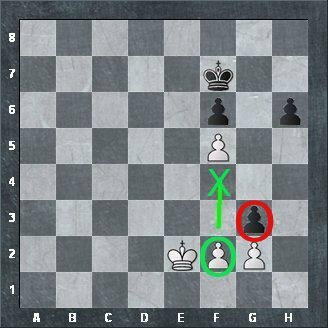 Your opponent has eight pawns so there are eight chances to capture en passant. If you forfeit one the other chances will still remain. It is as simple as that.